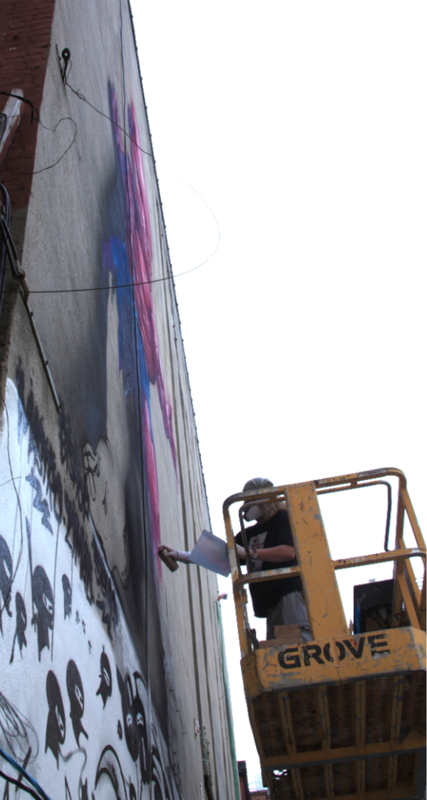 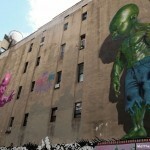 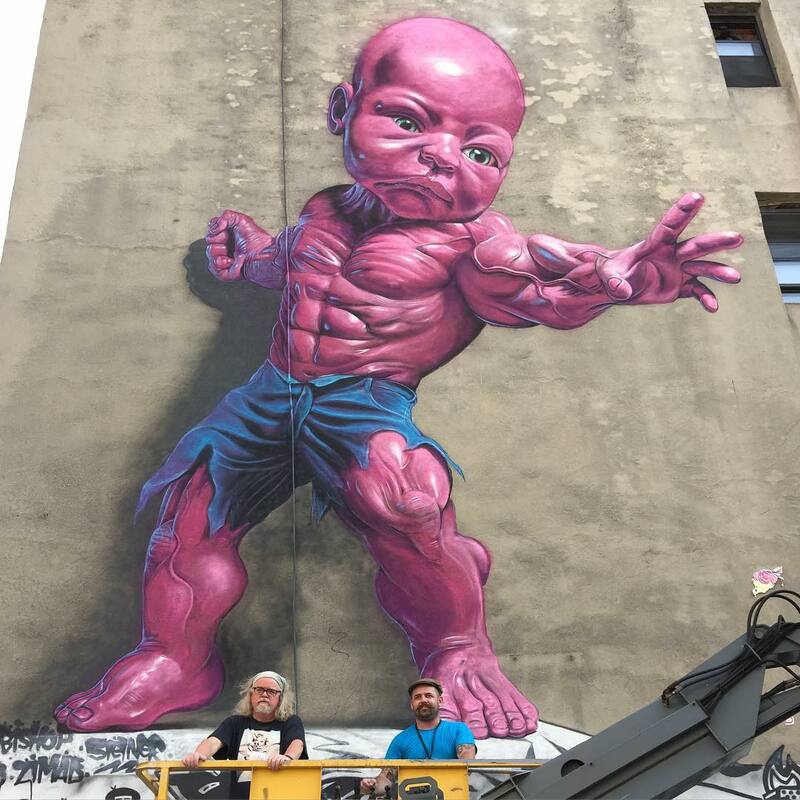 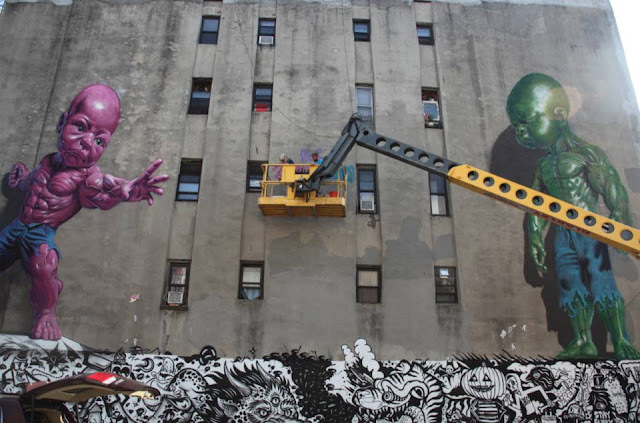 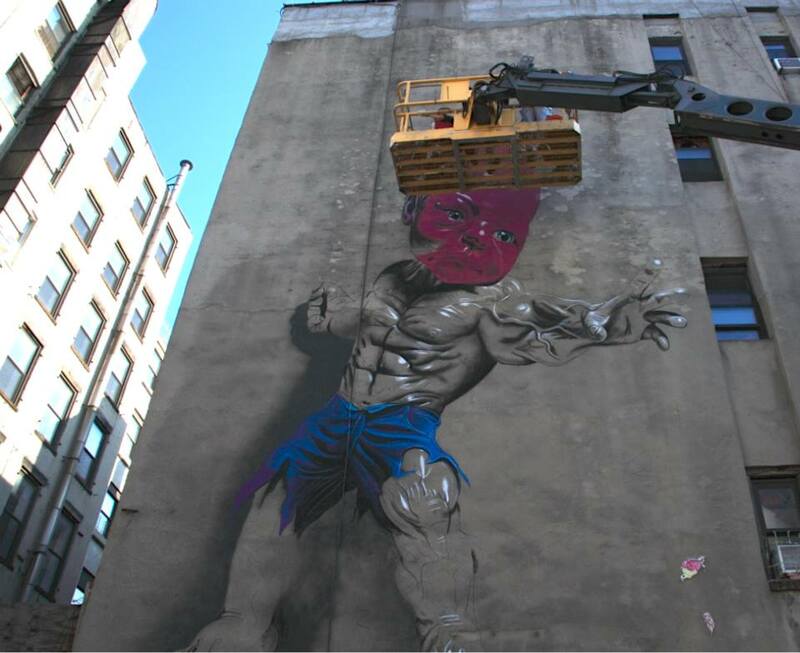 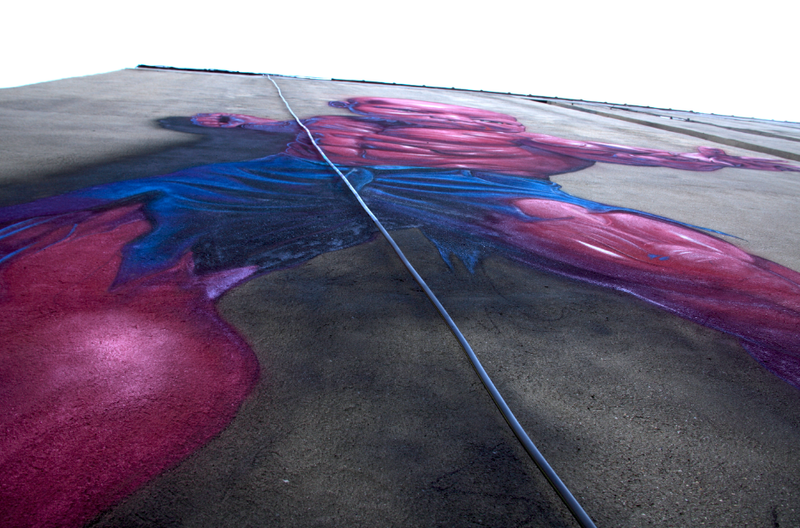 Ron English spent the last few days on his cherry picker to work on a new piece in Manhattan for The Lisa Project. 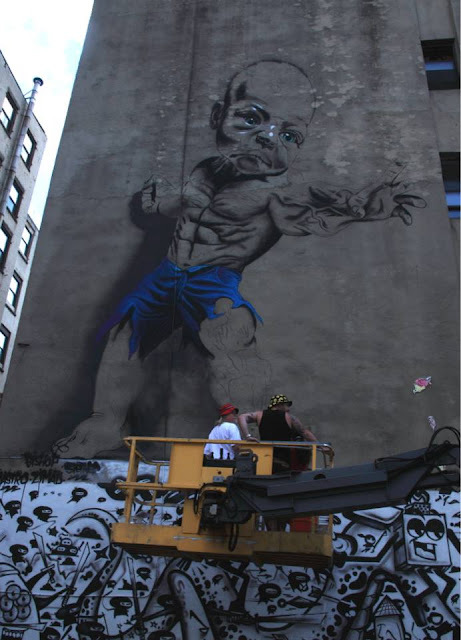 The American pop-artist brought to life one of his signature “Temper Tot” which is a cheeky play on The Incredible Hulk and a wink to his kids Zephyr and Mars. 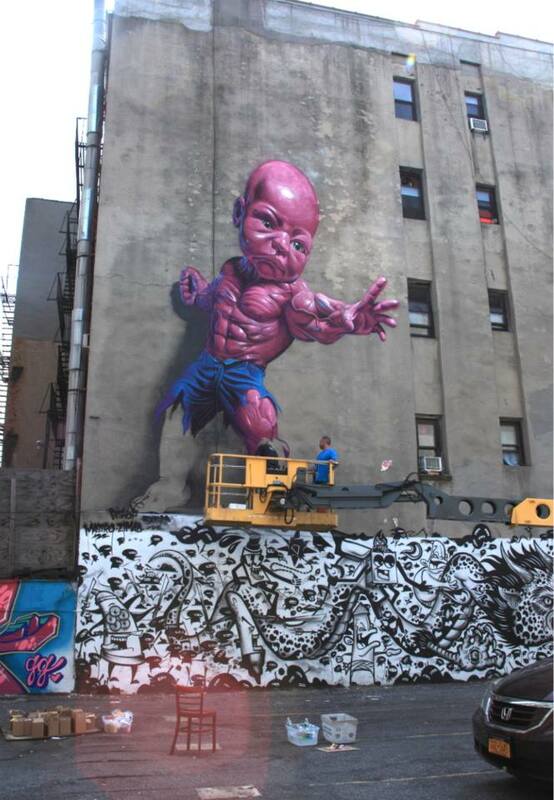 This new Temper Tot was painted on the same wall where the Green version was made a few years ago. 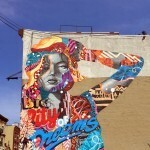 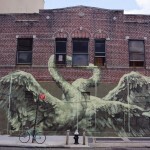 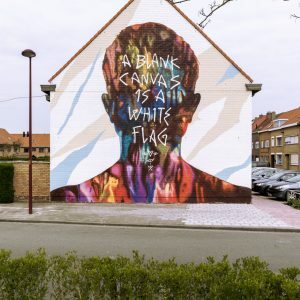 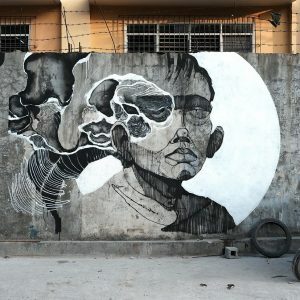 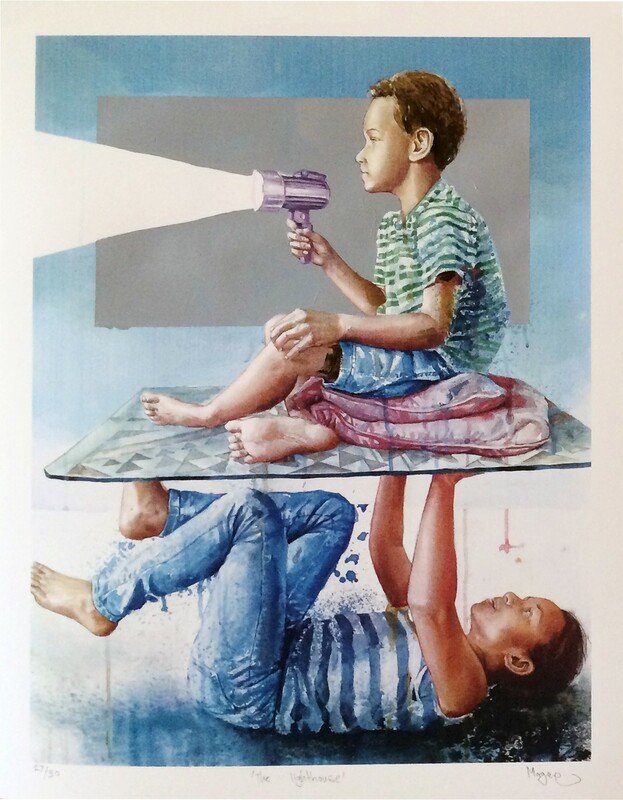 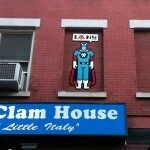 Continue reading for more detailed images on this artwork and if you are in the area, you’ll be able to find them on 114 Mulberry Street in Little Italy.